FYI I don’t have multiple accidents. My mvr is actually clean right now so chill out. FYI, this guy is Kash. Just changed name and removed avatar. Eric, you've had a lot going on recently - mostly negative things. I'm going to try not to repeat what has been consistently said in your other threads, but it's true. With all you've done recently, honestly, I feel that this industry may not be for you. And I mean this in the nicest way possible, but it's the rough truth. You have numerous accidents under your belt, nearly none of which you've owned up to. Your trucking resumé currently doesn't look that good. After a year without a license (by the way, do you mean CDL or normal license? ), you'll have to go through the entire training process again. That was the part you didn't like; You'll have to go through it again. Also, restarting after an entire year without doing it means opportunity for as many accidents as you've had. Your record is not very clean at all currently, think of how bad it would be with twice that. Honestly, I'd say no, to answer the question. P.S. You already posted a thread about this and got some good advice. Use some of that too. Who else deals with this hard braking critical event stuff? I’m getting really tired of it. I just got a hard braking and now they’re pulling me into the office later. They’re trying to say I was tailgating when I know I wasn’t. Considering there’s a thing on the dash that beeps loud if I do. This is just getting ridiculous.. I feel like if I even cough the wrong way my dm is gonna call me into the office. Smh, I know I’m not the only one dealing with this right? Anyone know companies that don’t use CER? I’m from New Hampshire with a New Hampshire CDL I just got pulled over in New York because I went into another lane a little bit because I was trying to adjust my body in my seat. I got a ticket for “moving from lane unsafely” and a ticket for no insurance as my home state doesn’t require it. The cop was extremely rude and pulled me out of my car and started searching my vehicle without asking or saying anything about searching. I told him flat out I’m not drunk or high and I have no weapons. They continued to ask me why I have tattoos and why I have so much food in my car. I’m calling a civil rights attorney but if convicted I’m pretty sure my license will be suspended right? Awesome thanks man! That’s what I was hoping. I was just wondering if anyone knows if I am able to do my fingerprints and background check out of state . My company is making me get my hazmat endorsement I am licensed out of the state of New Hampshire but I’m doing my fingerprints in Massachusetts. So I've had a pretty rough day, and I'm exhausted. I pulled in to fuel and shut down for the night and forgot to remove the second pump hose and ripped it off right at the metal detach piece. They had to cone off the pump and everything. Think I might lose my job over this? I'm starting to kinda panic over it now. I went in and let them know before I moved. But nobody really said anything they just said okay we'll have to cone it off. Okay, so I live in Arizona. I drive through an intersection this morning, as soon as I cleared it I saw a flash from behind my trailer. There was no flash in front of the truck, just the back end. Now I'm worrying what I even did? Mostly worried about my job. 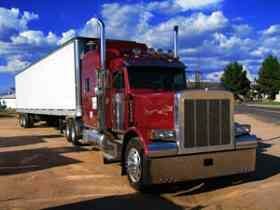 How do they usually handle red light tickets at trucking companies? Do you think Werner will fire me? Well they didn't fire me, but thanks to all you guys who said you would. It's my first year in this industry and I was literally unaware, not to mention I don't have a handbook at all, they didn't even give me a permit book for my truck, I had to go to a truck stop and pay for my cab registration and everything to get faxed over. But I appreciate it, I can always count on you guys to make me even more upset than I already am, not sure why I even post on this site anymore. Okay, so my t680 runs fine except when I use my 12v plugins. I plug my phone in and it says it's charging but it starts dying instead. I tested my phone in a wall outlet and it charged right up. But for some reason my 12v plugins have extremely low voltage or something. I'm not sure what it could be? Hey guys, I'm just curious because I can't get a hold of the Las Vegas DMV. I'm a New Hampshire resident but I'm moving to Vegas in about two weeks. What does Nevada require to switch my license over? Any retesting or anything like that? I decided I'm leaving Werner and going to Schneider intermodal orientation in Chicago. I can't keep doing OTR and I'm sick of complaining and being unhappy. I spoke to a Schneider intermodal driver who said it would be the best decision ever, so I guess I'll find out soon. Anyone who can tell me what to expect? I'm probably turning my truck into Werner this coming week. Hey guys, just curious if AT&T had good coverage as an OTR guy here. Just got a new iPhone and it seems decent, but I'm wondering if I should just return it, pay an extra 10$ a month and get the same plan but with Verizon instead? So I just started up with Werner not too long ago. I got m sometime and they're leniant on it too which is pretty cool. But now I can't seem to get a load away from the house. I've been waiting around and they can't seem to find anything. Anyone ever have that problem with Werner? Hate to admit it but when I was with Swift I was always moving, I mean I can't complain about being at home, but I need to make money too. I need some advice. I just left Swift, won't get into details but I took time off and couldn't get my job back. I'm driving for Werner right now OTR, honestly I hate OTR, I have a daughter I can barely see now. Schneider offered me a regional job, 4 days out 3 days home but I need to obtain my hazmat in 60 days. They wanna fly me to Chicago next week, i m resistant because I just started Werner and I don't want it to look bad on my job record looking like I jump company to company. I kinda wanna go to Schneider, but running hazmat in Boston and New york just doesn't seem appealing to me either, especially at 35cpm, now that's with stop pay, apparently 900 minimum weekly, I'm making the same at Werner. So I used to drive a cascadia, I just went to Werner and got a brand new 680, it's such a nice truck. Problem is I hate the sponginess in the shifting and the throttle seems delayed. I love the shifting in the cascadia but they're not as nice. I'm going to be running new York city, so as far a turning radius and overall size, what would be my best bet? Opinions? Arrived at Werner on Thursday, did a hair follicle on Friday. Whole class for their results and are on their way out. Meanwhile mine is apparently still "pending" I'm sitting here trying not to lose my mind. I've called corporate twice, they won't pay me anything for sitting these extra days, I'm a qualified driver and was told I would get my truck Monday. Nobody seems to care, I'm really starting to regret this. I just left Swift and came to Werner, they have a dedicated super close to my house, only thing is I'm required to deliver to all the boroughs in NY, how difficult do you think this is for a driver with 7 months experience? I'm very confident in my backing skills.